This stuff does not look pretty but it really does taste awesome… and it is one of the most nutritionally dense meals you could eat. Most of the time I cook elk liver very simply – it does not need long cooking… 3 minutes per side if that, and quite often I will cook it for a lot less… this is something that you WANT to eat rare… overcook it and it turns to leather. It does not look all that promising but will taste fantastic once cooked. So how do you cook this wonderous stuff? Then serve with whatever takes your fancy… in the pic above we briefly stir-fried some ruby chard and divided that between 6 plates. 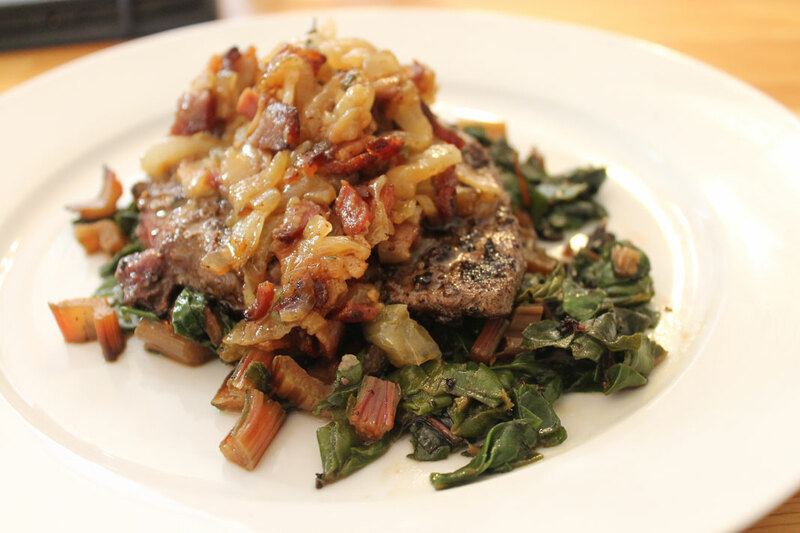 Then we sat a piece of cooked elk liver on top and finally topped it with caramelized onions cooked with pastured bacon…. 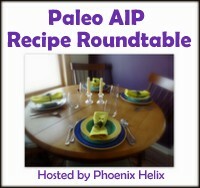 This entry was posted in Autoimmune Protocol Foods, Recipes and tagged AIP-friendly, bacon, elk, gluten-free, Greens, healthy, liver, low carb, organ meats, paleo, primal, sugar-free, wild meat. Bookmark the permalink. Agreed!!! I have not tried elk – but I have been on a lamb liver kick lately. Definitely find the liver/bacon combo a winner! 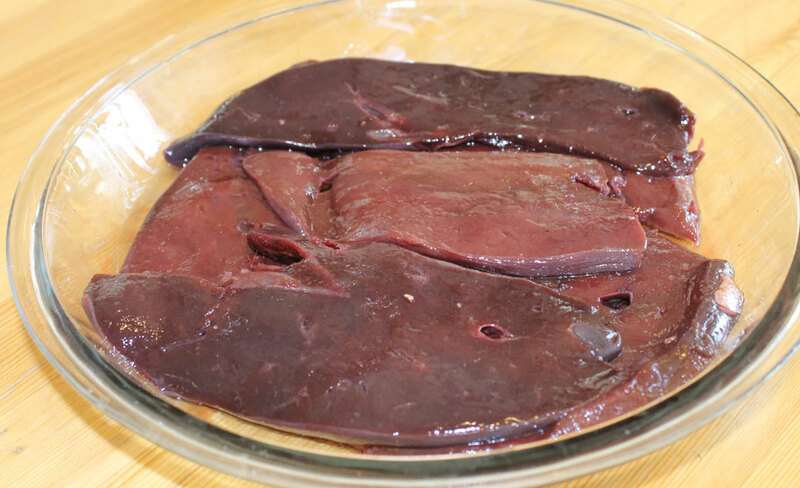 thanks for the comment – you should try the elk liver – it has a richer taste and is more nutritionally dense as well.